Former FBI Director and current special investigator of the ever eluding Russia probe against President Donald Trump, Robert Mueller, stands accused of framing a Georgia man on gun charges after the man traveled to Tennessee for an arraignment hearing of a friend in April 2010. On December 1, 2010, Huff pleaded “no contest” to charges stemming from his operation of a video camera on April 1, when Fitzpatrick had attempted a citizen’s arrest on the Monroe County grand jury foreman, Gary Pettway, for over-serving his term. Huff was not jailed or fined. However, federal firearms charges were brought against him in what many perceive to be a politically-motivated assault on First and Second amendment rights. The U.S. Department of Justice refused to release any documentation to The Post & Email through a FOIA request on the massive number of deployed law enforcement officers into Madisonville on April 20, 2010, the day of Fitzpatrick’s arraignment. Initially, the FBI said it possessed no responsive records, but a higher level of review yielded a letter affirming that documents existed but could not be released because of “privacy” concerns. 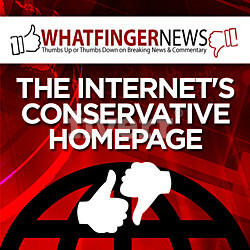 The Obama regime has been found to be highly secretive, particularly involving FOIA requests. Both Huff and Fitzpatrick are U.S. Navy veterans. The Obama regime is on record in its view that military veterans are considered “potential domestic terrorists.” Soldiers returning from battlefields in Iraq and Afghanistan as well as older veterans have often been deemed mentally unstable and thereby denied firearms ownership. At his federal trial, Huff maintained his innocence and claimed that the government he had served had turned against him. The jury acquitted him of one charge and was initially hung on the second until U.S. District Court Judge Thomas A. Varlan told them to “try again.” The jury then returned a guilty verdict on the second charge, and Huff was sentenced by Varlan to four years in federal prison and two years of probation. Now, a report out this week, indicates that Robert Mueller, who was serving as FBI director at the time, stands accused of framing Huff. Allegedly, this case remains under investigation by the Tennessee Bureau of Investigation (TBI). Patrick Howley at Big League Politics notes that a letter from TBI indicates that there is a criminal complaint against Mueller regarding his conduct in the case and that the matter is stored in an investigative case file at TBI. 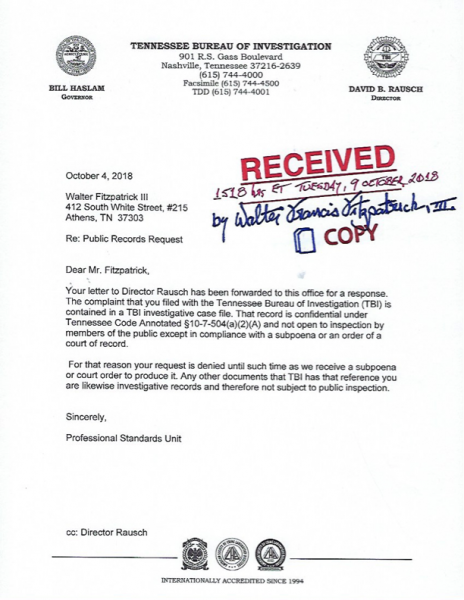 Big League Politics has reviewed police audio of a conversation between Walter Fitzpatrick, witness in the case against Mueller, and TBI special agents Jerry Spoon and Mark Irwin, plus another TBI officer. Fitzpatrick describes his claim that Darren Huff was fraudulently prosecuted by Mueller’s FBI for the crime of “carrying a firearm in interstate commerce with the intent to use it in a civil disorder” in a supposed right-wing plot in 2010 to take over a courthouse in Monroe County. Huff served time in solitary confinement, and did not wish to be quoted in this report. Fitzpatrick and others have presented evidence that Darren Huff never possessed a firearm at the location or in the matter alleged by authorities, and that there was no plot to take over a courthouse. 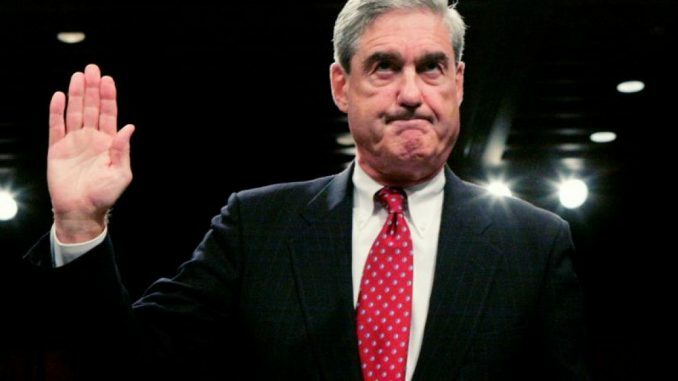 Huff’s lack of firearm, if confirmed by investigators, shapes the case against Mueller for willful misconduct by law enforcement. The obvious question is, why is the mainstream media not pursuing this? If there is evidence that has been presented that actually demonstrates that Mr. Huff never even had a firearm at the time and Mueller and company simply sought to intimidate and silence an American patriot, why should that be kept from the public? Robert Mueller has a history of deception and questionable conduct, including his aide in covering up 9/11. How anyone can take Robert Mueller seriously as an investigator is beyond me. He’s nothing more than a political puppet used by his masters to bring out their desired outcome.